Jamie Christensen here! As you know Millard County Recreation will start Men’s and Women’s league softball tonight and tomorrow and are already in progress with Little League baseball! I know I have personally not played ball since co-ed ended last September, and I am sure a lot of you haven’t either. 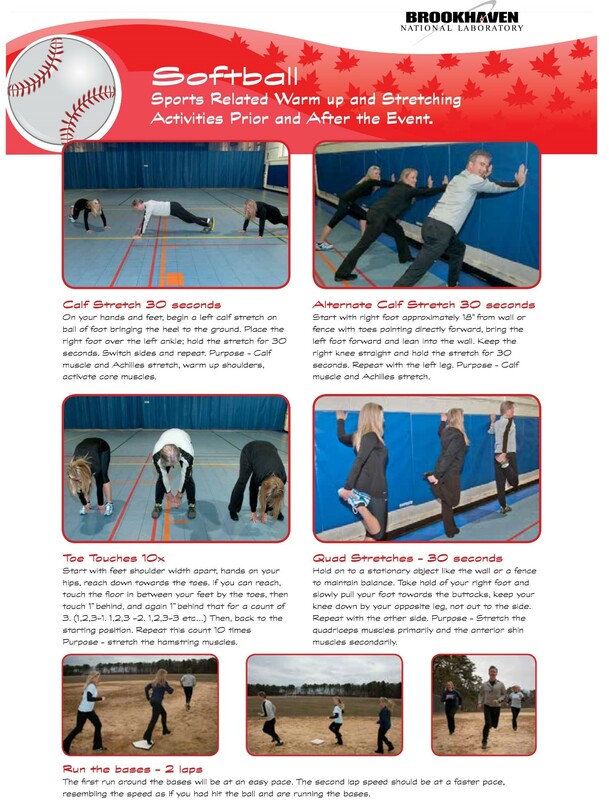 I have had a lot of people ask me what the best way to warm up for softball is so, together with Dr. Quackenbush, Dr. Stinson, Dr. Allen, and other clinicians in the office, we have found our favorite warm up! Yes, I totally poached it from online, so I must give credit where credit is due. I found this file from the Brookhaven National Laboratory. A good warm up is key to avoiding injuries during recreational sports and for weekend warriors! I will be playing Women’s league this season and am excited to see you all performing this warm up!! If, however, you find that you did not have an adequate warm up and suffer the fate of the inevitable quad or hamstring strain, make sure you give us a call at Delta Physical Therapy, so we can help get you back on the field pain free. If you need assistance with your sport related injuries, mention this Blog post and receive a FREE trial of the Class IV Infrared Laser! Such an awesome and quick way to help relieve pain and speed healing time of strains and sprains from sport related injuries. This offer ends with the end of Men’s and Women’s league seasons so call now to schedule your laser treatment. 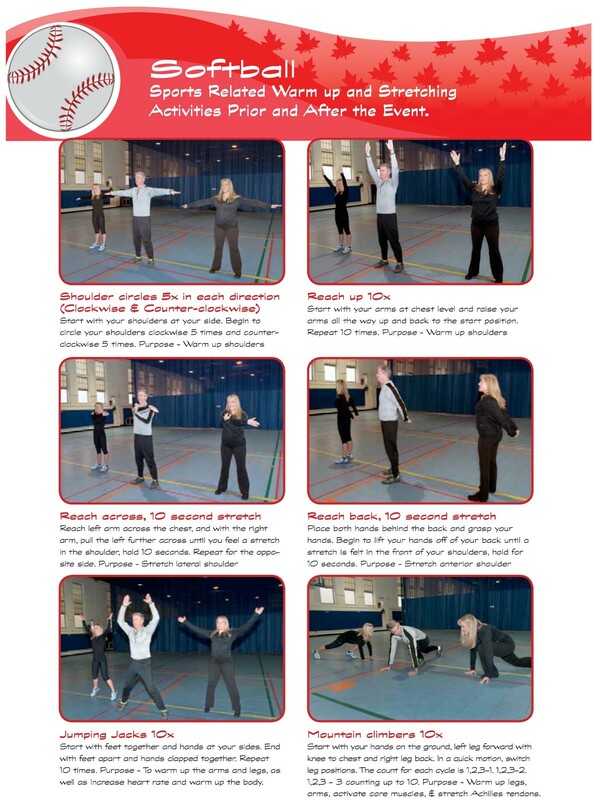 Scroll on down for a handout with pictures and descriptions of the warm up! !